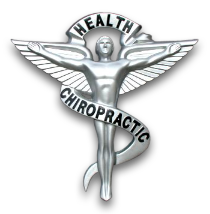 your chiropractor in Middletown. Call us today at 513-422-7776. Here is a cool link of a story that was on 60 minutes about the dangerous effects of sugar on the body entitled "Is Sugar Toxic?" At our Middletown chiropractic office you will receive the best care through the use of state of the art chiropractic techniques and technology. Dr. Matthew Houchin and the staff at Chiropractic Associates Inc. have a genuine concern for your well-being and health! Call us today at (513) 422-7776 and we can develop a chiropractic plan specific for you. To receive free wellness and health articles subscribe to our bi-weekly newsletter. If you are already a newsletter subscriber, please explore the member wellness section of our website for animated exercise videos, wellness articles, chiropractic resources, and health facts specifically targeted to your wellness needs and interests by Dr. Matthew Houchin. It is our desire to make this website an important reference to supplement your care in our office. "A top notch doctor and a top notch staff! by keeping my monthly appointments, I am able to live a very active life even with a lower back/disk problem. Dr. Houchin keeps me pain free!" "Amazing staff.. Great with kids..I dont know any other doctor who still sends out happy birthday post cards"
"This place is AWESOME!!! The whole team is kind and caring!!" "Fast friendly blows me away how he walks in gets right to root of. Problem areas and adjust it headaches have went away and shoulder pain is almost gone."